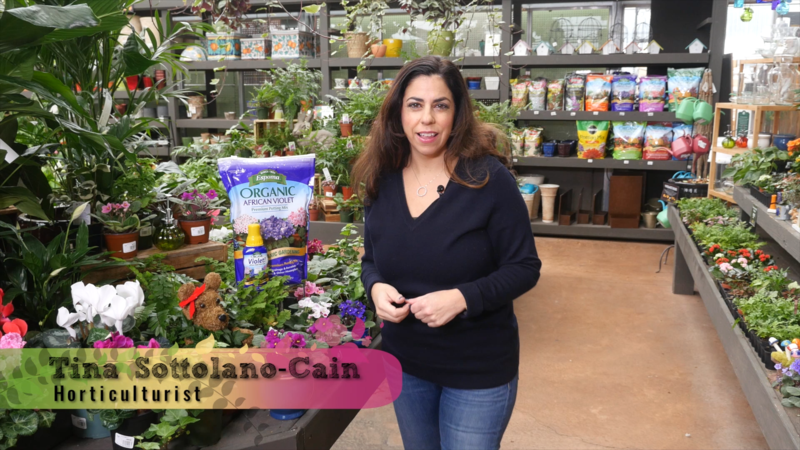 Tina talks about her favorite easy care indoor flowering house plants. 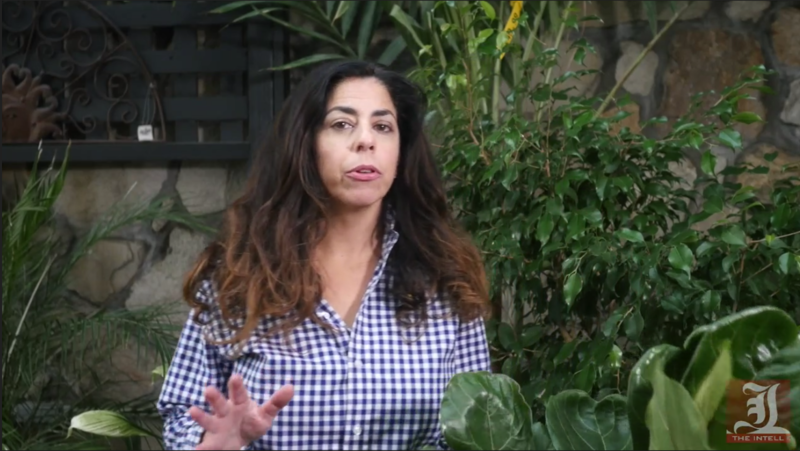 Tina shows you how to care for your bird visitors to your yard in winter. 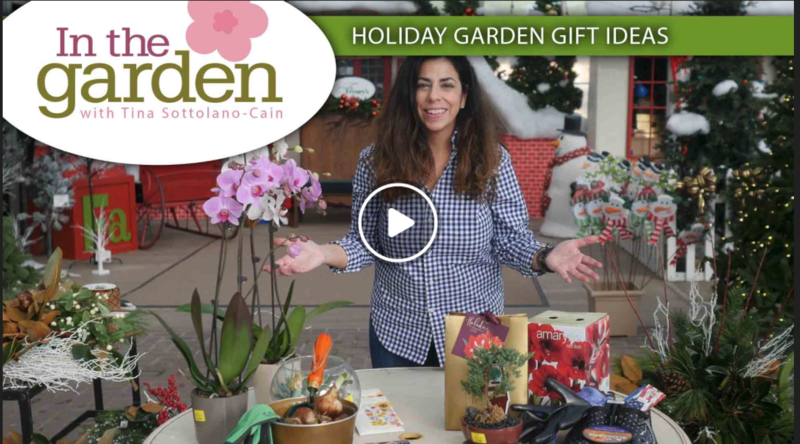 Tina gives you some last minute gift ideas for the gardener. Gone are the days of garden pots sitting idle on the front porch during the winter season. 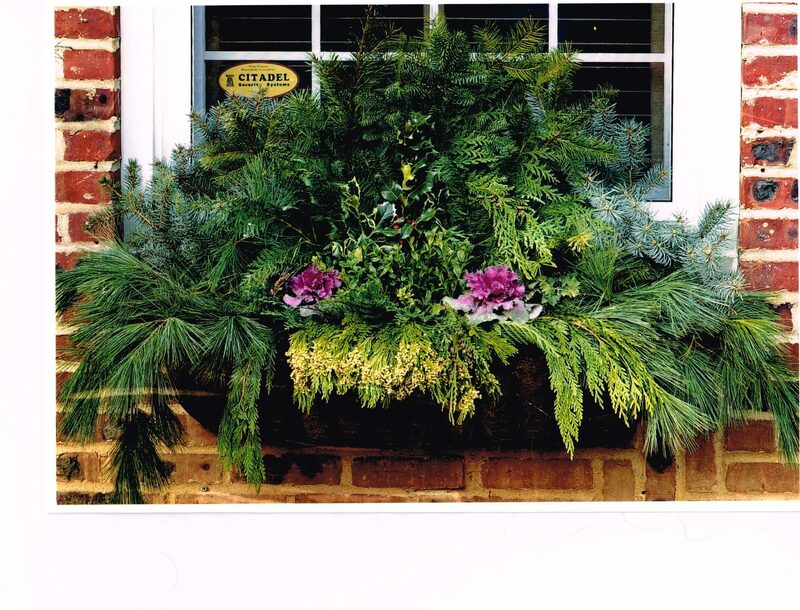 Container gardening doesn’t have to end when the weather turns cold in fact the local garden centers are filled with a wide variety of conifers and fresh cut greens, perfect for greening your containers. 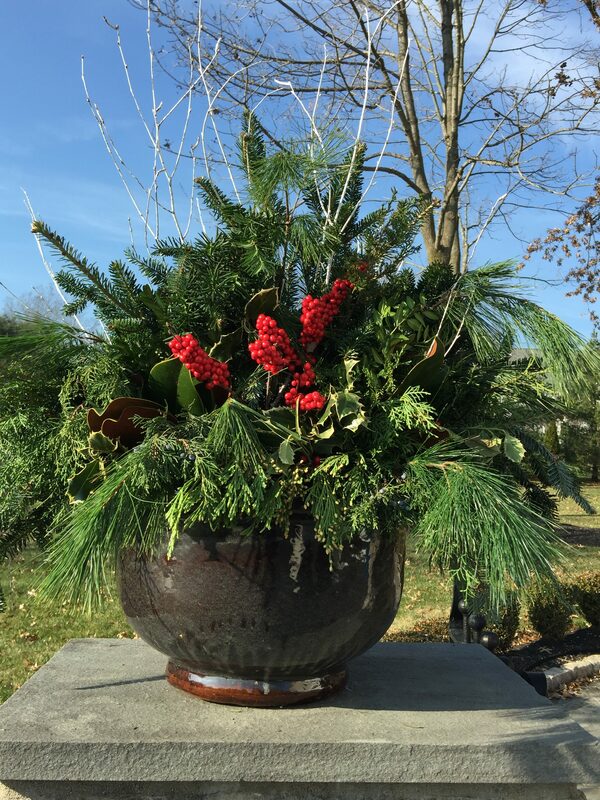 Using boughs of pine, fir, and cedar and a few dried and faux accents give your planters life when the short gray days of winter set in. What I most like about this DIY project is that you don’t have spend a great deal of money. Bundles of fresh cut greens are reasonably priced and if you are fortunate to have conifers and broadleaf evergreens on your property you’ll have a nice variety to choose. Use heavy duty ceramic, iron or fiber planters if possible, these materials are more frost tolerant than basic terra cotta, fill pot with soil. If you have plants leftover from the fall cut them down to the soil. This actually provides a sturdy base for arranging the stems. You want to begin by sticking greens in the pot starting from the middle. Greens should be cut proportioned to the size of the pot. Consider using a taller branch for the center and then cut branches at varied lengths. Ideally you want to achieve a triangular or fan shape to your arrangement. I prefer using fraser fir as my base when possible, It’s short needles provide a sturdy base and the blue green color add dimension. You can use pine and douglas fir as well. Continue building your arrangement, working from the center of the pot until the soil is covered. 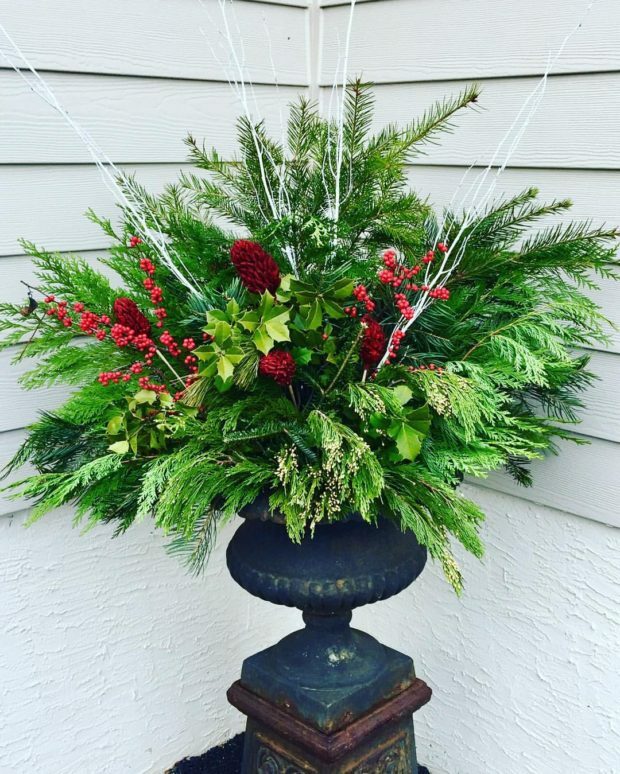 Begin adding accent greens like pine, and port orford cedar to soften and add drape to your arrangement. I suggest adding magnolia or holly to vary textures or head outside and forage in your own backyard for materials. Once you have placed all the greens now the fun begins. You are ready to take your arrangement to the next level. Branches, like white birch, and sweet huck along wth red twig dogwod add height and brighten greens. For a more holiday feel add clusters of red berries and pine cones. I encourage you to experiment with your design. 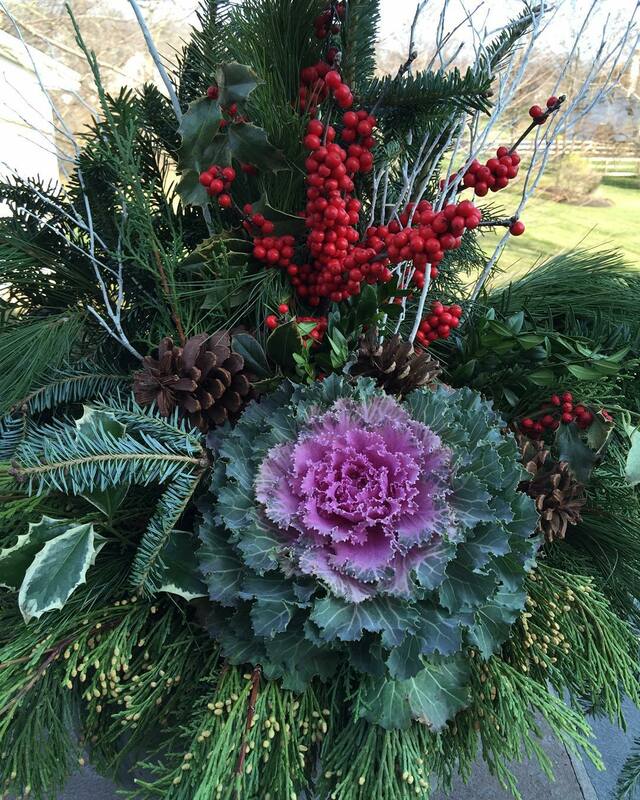 If you prefer a more natural arrangement use fresh materials. If you want a more festive look for the holidays add glittered branches and faux picks of silver and gold. 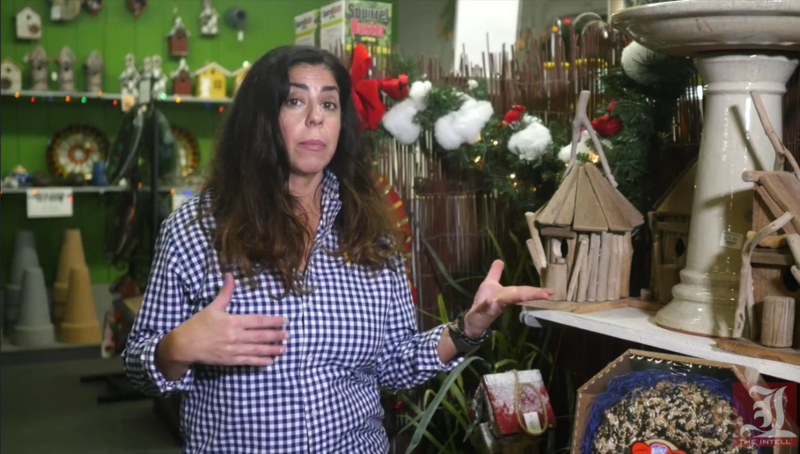 The holiday displays at the local garden center are filled with faux and natural picks to choose. Another option for pots is using potted evergreens. Potted Alberta and Colorado spruces as well as varieties of cypress, holly and boxwoods are just a few shrubs you can plant into pots now. You can add cut fresh boughs of cedar or pine at the base and holiday lights for a custom design look. Remember to water your arrangement and spray with an anti -transpirant like, Wilt Pruf or Wilt-Stop. This will help reduce any water loss through the leaves and needles of your potted arrangements. 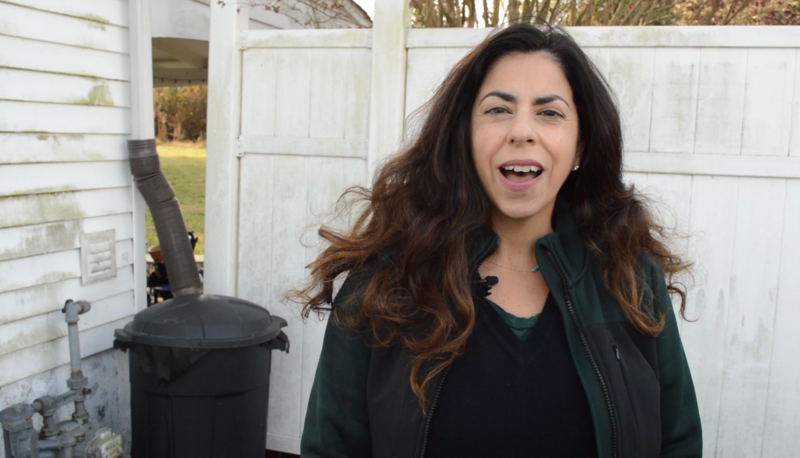 Tina shows you how to winterize your rain barrel. 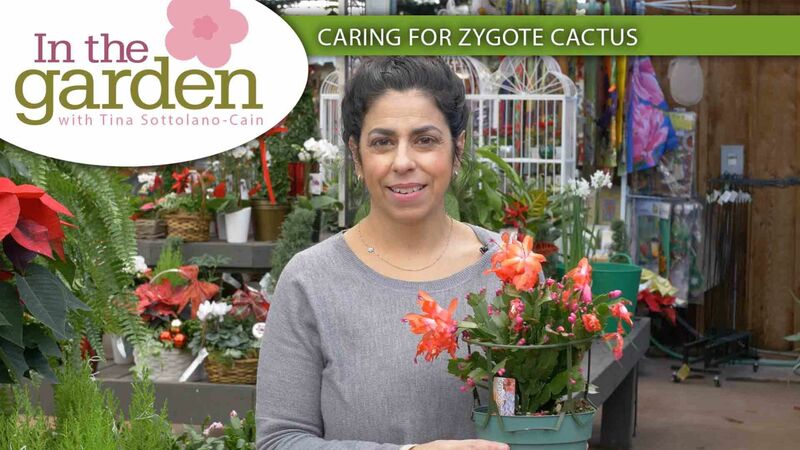 Zygocactus or Holiday Cactus is member of a small genus group of cacti called Schlumbergera that includes Christmas, Thanksgiving and Easter cactus. They are a popular houseplant and very easy to care for. Cultivars are usually white, pink, orange, red, purple and even yellow. Easter or the Whitsun cactus are most commonly a scarlet red color. If you are wondering why your cactus doesn’t bloom exactly during the Christmas holiday it may be one of two factors: timing; or you may have a variety specific to Thanksgiving. The difference between the two plants is in the texture of the leaves. Typically the Christmas cactus has smooth edges. The Thanksgiving cactus has a more jagged leaf edge, thus giving it the name crab cactus because of its claw like texture. When shopping for either check the varieties. The Christmas cactus is usually labeled Schlumbergera x buckleyi. Caring for this plant is simple. Despite being called a cactus they are native to Brazil and the South American rainforest so they require more water and humidity than a traditional cactus. Give your cactus bright to medium indirect light indoors and water regularly. I recommend you check the soil and water when the soil feels dry. Fertilize monthly 20-10-20 water soluble at 1/2 the rate. I like to keep a calendar with a watering and fertilizer schedule. This allows you to see how often you are watering and can potentially prevent you from over or under watering. A few signs to look for are the leaves turning yellow or looking shriveled and dropping off. In mid-spring place the cactus outside in a shaded location. It will love being outdoors when the air is warm and humid throughout the summer. Repot if necessary. Christmas cactus do not mind being pot bound, however if your plant has been in the original pot for a few years its time to repot and replenish with fresh potting soil. Leave plant outside in summer until temps go down to 50 degrees. A cooling period signals the plant to begin a new growth cycle of setting buds to flower. At about six to eight weeks before Christmas, place the plant in a completely dark space where the temperature is 60 degrees (such as a closet or garage) for 12 hours each night. Be sure to bring the plant out to a sunny spot for the other 12 hours each day. And remember to keep plant away from drafty windows or you may loose those flower buds you worked so hard to get. 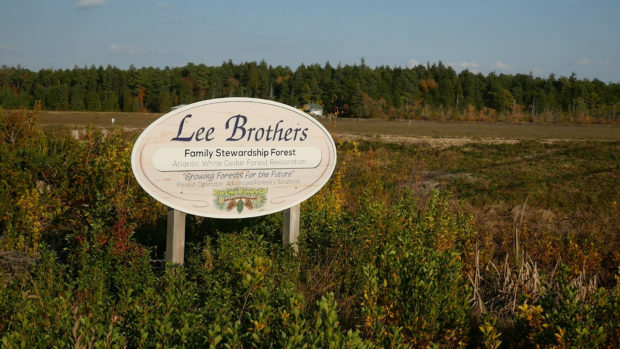 Lee Brothers has been in the business of growing cranberries for 126 years. Tina talks to Stephen Lee IV about what it means to be a part of that tradition. 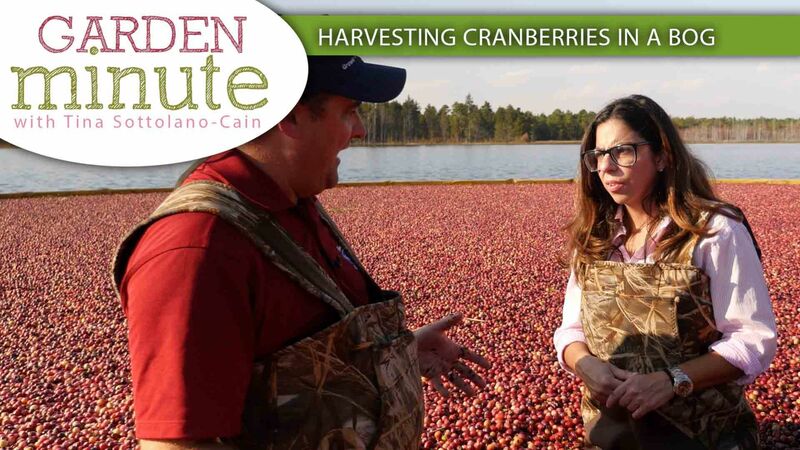 Cranberries have been grown and harvested in the pine barrens of southern New Jersey for generations. Always fascinated to learn how certain plants grow and their harvesting practices, I headed down to Lee Brothers Farm in Burlington County New Jersey. They are a family-owned farm where generations continue to work side by side growing and harvesting cranberries for over 100 years, since 1868. 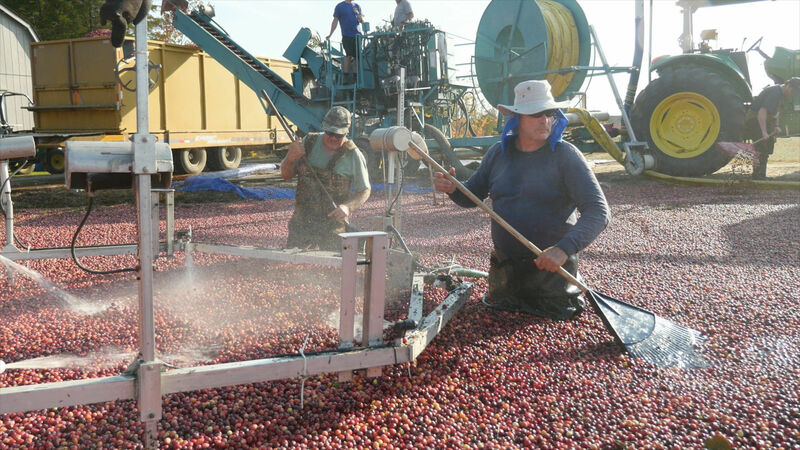 Harvesting cranberries is a two year process, starting from the time the berries are planted to the time they are harvested starting in September through October. Each bog takes about two weeks to harvest. Lee Brothers Farm is part of the Ocean Spray growers cooperative made up of 700 hundred growers in the US and Canada, growing cranberries as well as Chili and a handful of citrus growers in Florida. The cranberries are grown in bogs, but not under water. Twice a year (once in the fall and then again in the winter to protect the buds that have formed for the next season) the bogs are flooded with 18 inches of fresh water. Flower buds are formed on the plants for the next year after flowering and fruiting has occurred during the spring and summer growing season. During the growing season plants are fertilized and monitored for fungus and diseases. They use bee feeding barrels to keep the bees fed while they pollinate the cranberries. A machine known as the “egg beater” loosens the berries from the vines. As cranberries are made up of four hollow chambers, once the bogs are flooded and the berries are freed, they will float to the top. A box is formed in the bog and then the berries are funneled into the box. The berries are pushed or corralled toward the center. Lee tells me that you have to move the berries in a sequential form. Berries are pushed through the bog in a sweeping motion using a garden rake, while another person gently pushes the box toward the center. “You don’t want to cough or choke the box. You don’t want to overwhelm the box with too much fruit or you will not be able to pump out any water,” he said. Once the berries are pumped out of the bog they are loaded onto a conveyor belt where they are then funneled into a truck to be taken to Ocean Spray for processing. Cranberries are the most popular fruit of the season. In the first part of this series, Tina visits Lee Brothers Farm and talks about the history of farming cranberries in the region. Though a well-roasted turkey may be the star of Thanksgiving dinner, the ruby-red, glistening side dish of cranberry sauce is always a stand out amongst the other like-hued offerings. Likewise, the cranberry’s rich color and quirky harvesting make the bitter berry a serving of well-rooted Americana. Cranberry plants are dwarf evergreen shrubs with vine like woody stems and leathery leaves that can grow up to six-foot long. They are found growing in sandy bogs and marsh lands in Wisconsin, Coastal Massachusetts and Southern New Jersey. According to kitchenhistory.com, the cranberry was originally called “ibimi” or bitter berry by many eastern Native Americans. The Dutch and German settlers gave it the name of “crane berry” because the flowers look like the bill of a crane. Thus giving us the name we use today, cranberry. The bright red color and semi-sweet flavor were believed to have many health benefits. Native Americans have many different uses for the berry. They combined the fruit with deer meat and called it “pemmicanna,” once considered a survival food. The Cape Cod Pequot and Leni-Lenape Indians in the eastern United States, also used it to make dyes for clothing, rugs and blankets because of its beautiful rich red color. It was also used medicinally. According to the Natural Resource Educational Foundation/Lighthouse Center, It wasn’t until the early 1800’s when cranberries were planted commercially. In 1816 Henry Hall in Massachusetts was the first to grow the berry for production. In New Jersey cranberries were first cultivated in 1840 by John Webb. In Ocean County the berries were brought to ship merchants and sailors on whaling ships to be eaten for its Vitamin C to prevent scurvy. Now there are over 40,000 acres of cranberry bog in the Northern United States and Canada. New Jersey is the Third largest producer of cranberries. Many bogs producing cranberries today are more than 100 years old. Before the 1800’s, bogs were combed by hand, known as dry harvesting. Since then things have changed and more efficient ways of harvesting the crops, know today as wet harvesting occur. The bog is flooded in October allowing the berries to float to the top. Next week Garden Minute will visit one of the oldest Cranberry farms in Burlington County, New Jersey, Lee Brother’s Cranberry farm. 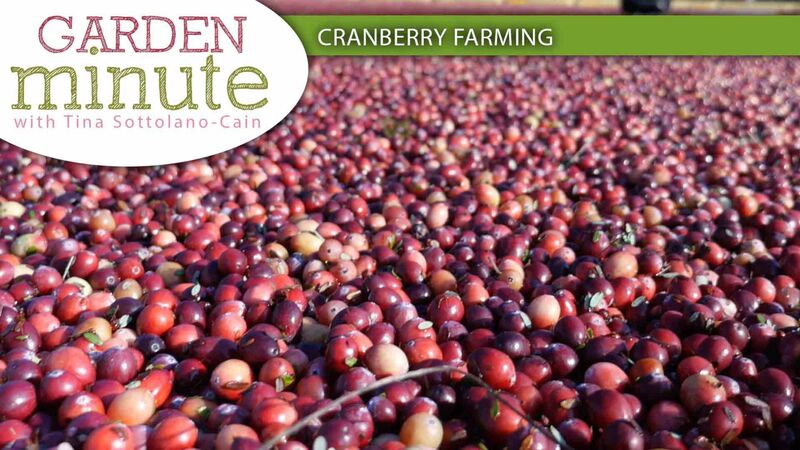 The farm has been harvesting cranberries for over a hundred years and is part of the Ocean Spray Cooperative. We will talk about their methods of harvesting the cranberries from inside a bog. According to pineypower.com, cranberry grower Elizabeth Lee of New Egypt, New Jersey decided to take cranberries that were less than perfect, bruised or slightly damaged that would normally be tossed in the garbage. She boiled the berries into a jellylike sauce. 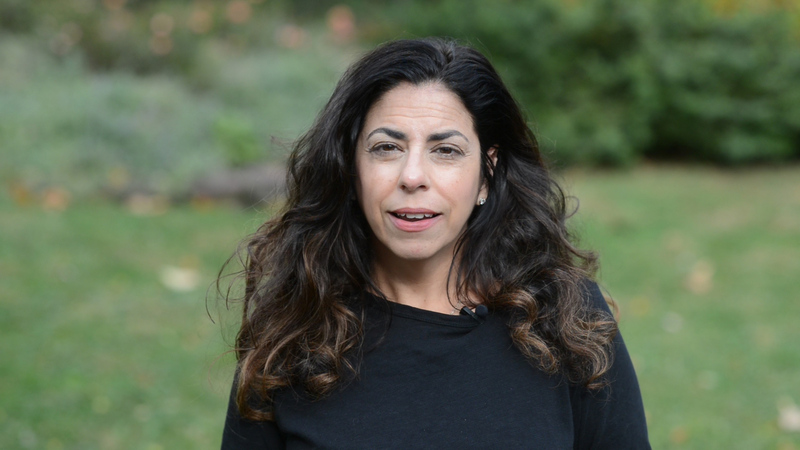 It is believed that she like the sauce so much she started a business selling her “Bog Sweet Cranberry Sauce” beginning what is known today as Ocean Spray, which still operates in Chatsworth, New Jersey.